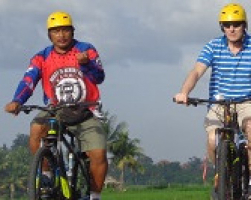 Free shuttle to and from your Hotel ( Canggu, Seminyak, Kuta, Denpasar, Ubud & Tabanan Area ) outside areas require a supplementary charge, please enquire for further detail. 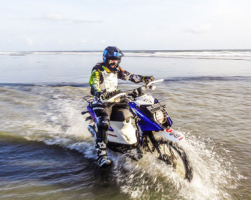 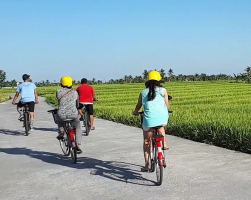 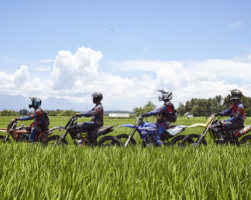 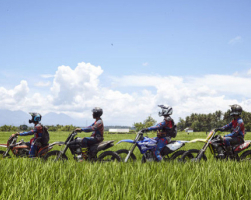 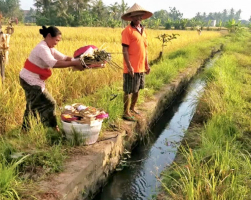 Enjoy the ride along untouched beaches in the area of Tabanan, we will show you a very different Bali that you will not see on your own, the fun track ride is along beautiful beaches, river crossings and through small villages and rice paddy fields. 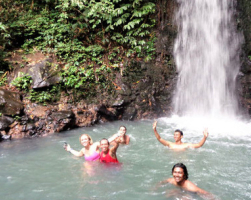 We will give you a great adventure to remember forever. 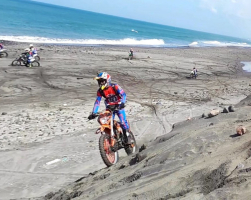 A more challenging route with a more relax time frame. 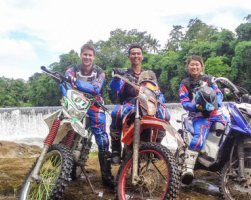 You will explore deep into the heart of the jungle as well as experiencing beaches, river crossing, small villages, and rice paddy fields and continuing the journey to the sacred waterfall. 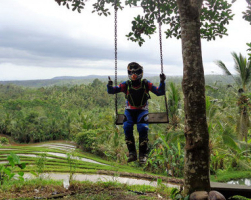 A full day Adventure will give you memories that will last a life time. 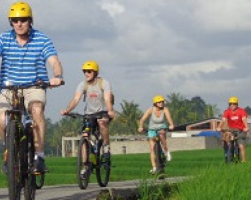 The area of north-eastern Bali at the mount Batur caldera, Explore into the dense Pine forests up and down hills with dramatic view of the active volcano mount Batur and serene lake Batur. 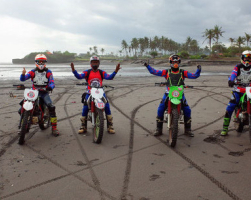 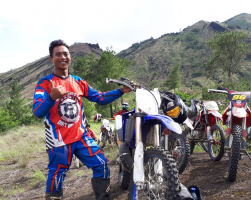 Fast track sand, dunes and stunning terrain of Kintamani Batur and end up riding into dusty Black Lava with absolute beautiful volcanic landscape. 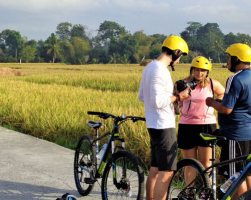 Cycling along the magnificent paddy fields where the local farmers do their daily activities. 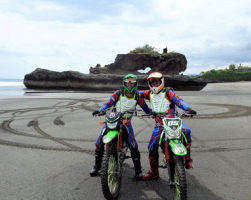 Visit to Tanah Lot Temple to see the beauty of an Historical Hindu temple & iconic pilgrimage site built on a dramatic rock formation in the sea.